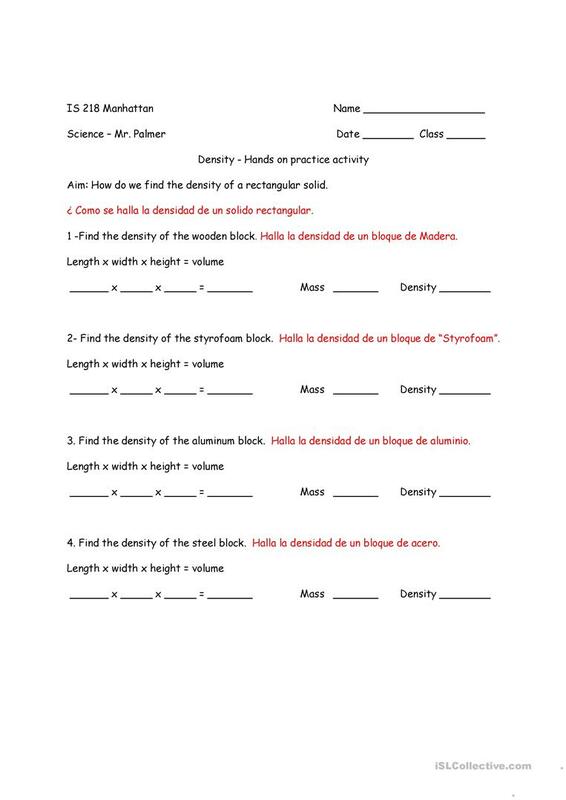 Science Lab for bilingual students Spanish/English or for teachers with a mixed class. Lab to practice finding the density of 4 rectangular solids. 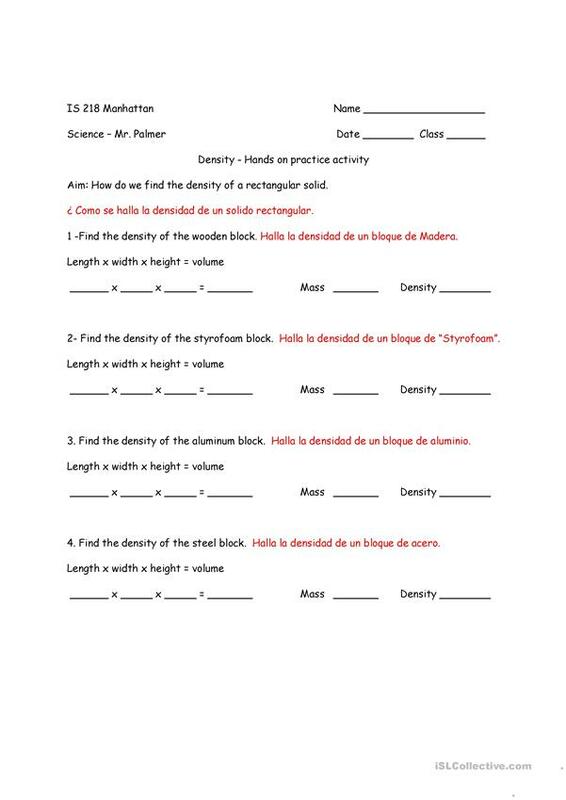 Teacher needs to provide the objects for measuring. 2 metal blocks of of equal volume but different metals iron or lead and one of aluminum. One of styrofoam and one of wood of equal volumes. 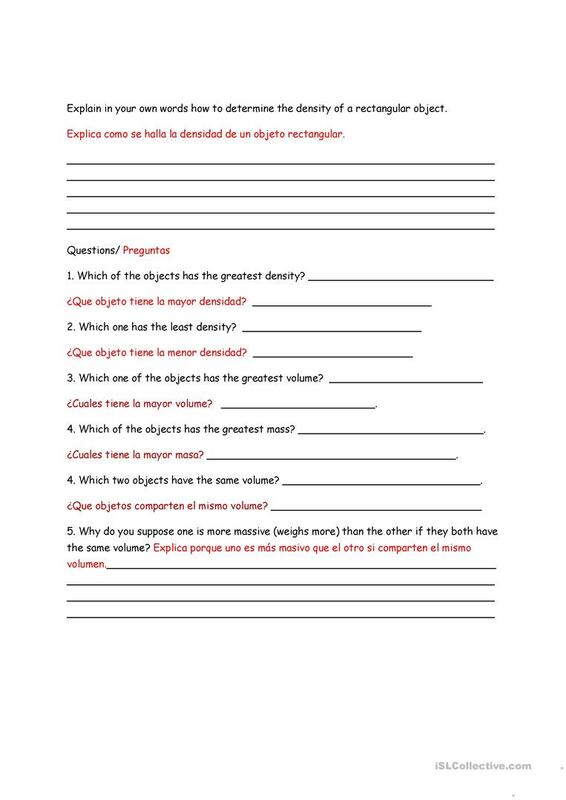 This downloadable handout is intended for elementary school students at Intermediate (B1) level. It is useful for developing your students' Reading and Writing skills. epalmer is from/lives in United States and has been a member of iSLCollective since 2013-03-17 20:50:29. epalmer last logged in on 2013-03-17 20:50:30, and has shared 1 resources on iSLCollective so far.